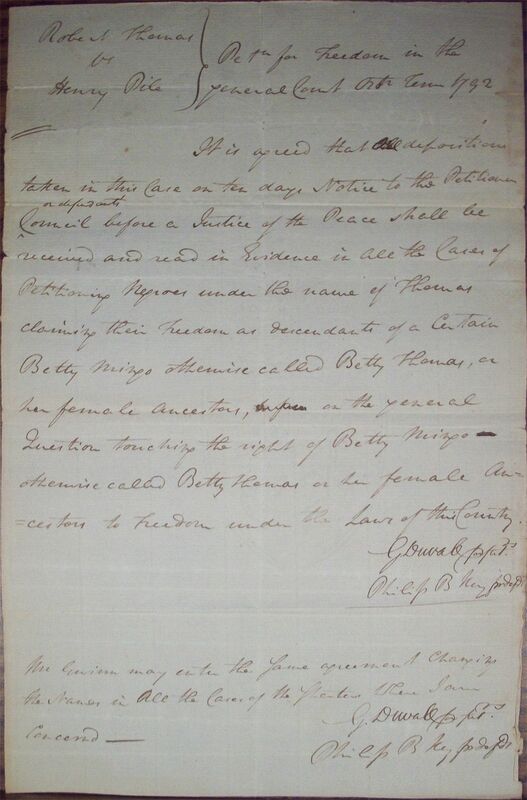 It is agreed that all depositions taken in this Case on ten days Notice to the Petitioners or defendant's Council before a Justice of the Peace shall be received and read in Evidence in all the Cases of Petitioning Negroes under the name of Thomas claiming their Freedom as descendents of a Certain Betty Mingo otherwise called Betty Thomas, or her female ancestors, before on the general Question touching the right of Betty Mingo or otherwise called Betty Thomas or her female Ancestors to Freedom under the Laws of this Country. Philip B Key for defdt. 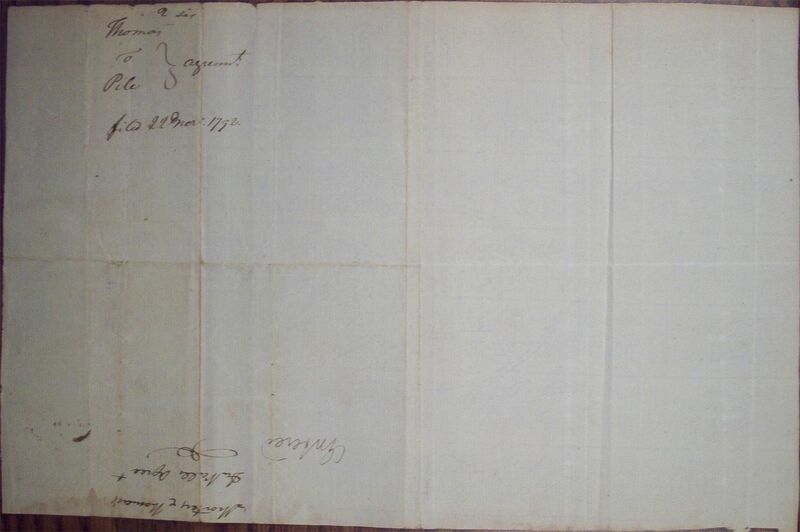 Mr Gwinn may enter the Same agreement Changing the Names in all the Cases of the States where I am concernd.